UniCarriers new generation heavy-duty reach trucks bring your warehousing efficiency to the highest level. Entirely designed around the operator, these trucks will adapt to your individual operational needs and provide world-class ergonomics. Explore the world’s most personal reach trucks – 100% dedicated to your material handling operations. 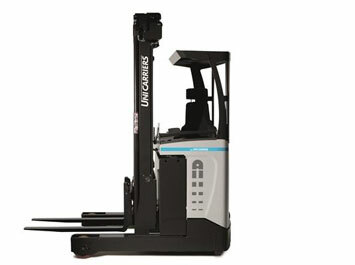 Designed to perform almost any heavy-duty 24/7 material handling task, the UniCarriers UMS/UHD/UHX are universal reach trucks with a capital U. The versatile UMS will perform effortlessly in your high intensive operations – perfect for internal transport and stacking up to 2.000 kg. For even tougher tasks, with a lift height up to 11.5 metres or loads up to 2500 kg the robust UHD will be the best choice. If your operations include hi-rack warehousing up to 12.1 metres, you’ll find an excellent partner in the extremely stable and high stacking UHX. All these models will perform in almost any environment, including cold stores. This series of reach trucks is also the most ergonomic. 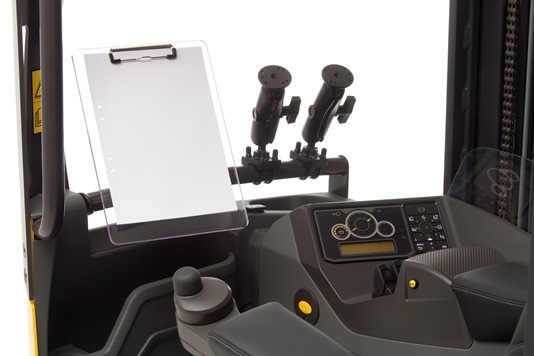 UniCarriers unique mini steering wheel with floating armrest, the multi-adaptable operator’s environment, intuitive controls, tilting seat and superior visibility put the operator in control to maximise efficiency and safety. Maximum speed is 12.5 km/h, and the option of maximum speed 14.5 km/h makes the Tergo one of the world’s fastest reach trucks. A wide range of innovative extra equipment such as ASR – Active Spin Reduction, LAS – Level Assistance System, Ergologic operator interface, Fast Track battery change system, load wheel brakes, video camera and cold store cabin complement what are probably the world’s most personal reach trucks.